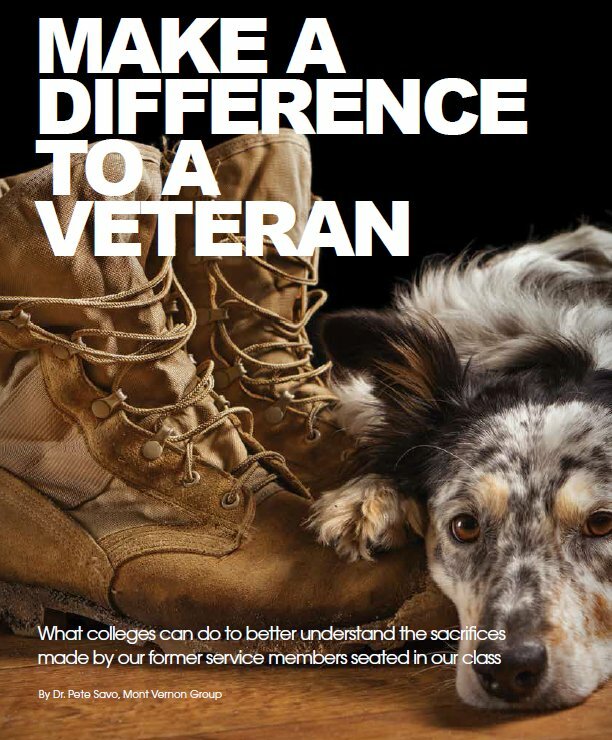 Make a Difference to a Veteran by Dr. Pietro (Pete) Savo, You might believe your school is doing all it can, but it’s likely you can do more to understand the sacrifices made by the former service members seated in your classrooms. You might believe your school is doing all it can, but it’s likely you can do more to understand the sacrifices made by the former service members seated in your classrooms. What colleges can do to better understand the sacrifices made by our former service members seated in our class. The biggest repayment you can offer them is providing a quality education that will result in a lifelong career. The Middle East and Afghanistan are the war zone regions that keep the United States military engaged. Regardless of what our politicians tell us, the end of war for our service members is far from over. 1. An absolute patriotic love of our country. 2.To earn college tuition and ultimately a degree that will result in a productive life and career. Joining the greatest military organization in the world to go to college is an inspiring example of earning a college education the hard way. The price of serving in the military is the loss of many future memories, such as missed birthdays, anniversaries, weddings and graduations while in training or deployed overseas away from family and home. To me, the worst part of military deployment was not the risk of war, but missing family and not being home for those special memories. The true emotional discomfort came from having to read about those missed family events in a handwritten letter. Today, with so many technologic advances, email, Skype and cell phones have replaced the letters of yesterday. With technology, missed special memories are in real time and are equally as painful. The greatest thank-you for your service can come in the form of providing quality education that will result in a lifelong career. The perfect thank-you comes not through special treatment, but through understanding that a veteran student is someone who has excelled in unimaginable environments. Returning from war, service members become lost in the crowd of their surroundings. We are often thanked for our service, but I will admit it does feel unnatural when this happens – although I do remember a time when service members were not thanked or even acknowledged for their service. For that reason, I find myself thanking service members every chance I can as well. In the story of service members, we see the spirit of America’s past and future. When our country needed us most, we stepped forward. We raised our right hand and swore a solemn oath. We put on that uniform and earned the title veteran, which we carry to this day, regardless of whether we were a soldier, sailor, airman, Marine or Coast Guardsman. We are part of a brotherhood and sisterhood that often stops us in our tracks to listen to the latest news reported from the war zone. We listen to the newscasters; we remember our own time serving; we understand, and this connection is never severed. We return from serving with battles won and many more battles forgotten with the hope that our military detour in life was not in vain. For some, this detour is our life. We return much different from when we left because we are different. We take on life’s tasks as if they represent a mission. We are regimented, mature, task oriented and focused on the goal of obtaining a higher education. Many of us who have landed in academia as professors find ourselves as challenged as the non-veteran professors to support the strengths and needs of veterans as they transition from a military life to pursuing higher education. What can colleges do to better understand the sacrifices made by our former service members seated in our classrooms? The greatest thank-you for your service can come in the form of providing quality education that will result in a lifelong career. The perfect thank-you comes not through special treatment, but through understanding that a veteran student is someone who has excelled in unimaginable environments. For professors who understand this reality, veteran students become the inspiration for the remainder of their class and faculty. The value of a veteran student is this: Veterans read what is assigned, have a serious look of interest during your lecture, and are the first to raise their hands to ask a question or volunteer an answer. The veterans in your class find each other before you find them. Therefore, you ask, what is the problem we need to solve for veterans in our colleges? Perhaps it’s more of a solution we need to recognize. For example, one problem service members have when transitioning from the military environment to college is having to wait a whole month for the VA housing allowance check to arrive. During this period, service members are homeless. My suggestion is that colleges can solve this problem simply by donating unused dorm rooms to enrolled veterans until the VA housing allowance money is available. Another problem veterans face is finding summer jobs that allow them to earn money to keep their apartments during summer break. Perhaps my first suggestion applies here as well. Colleges can solve this problem simply by donating unused dorm rooms to the enrolled veterans. The big picture is that the veteran population is less than 1 percent of the U.S. population, and no veteran should ever be homeless. Today, the majority of veterans using their GI education benefits are war veterans. This logical housing solution becomes common sense. Colleges that offer free housing to their enrolled veteran students become the recognized patriots and recognized leaders in the higher education community. Be the one to make a difference to a veteran! The U.S. manufacturing sector has undergone a massive change in the last several decades. How can we rejuvenate it? And how would career colleges benefit from a manufacturing renaissance? The U.S. manufacturing sector has undergone a massive change in the last several decades. Both print and online media document new automated technology and outline the lack of competitive advantage to improve operational efficiency. This inefficiency led to many manufacturing plants closing and a climbing unemployment rate. The result is a loss of U.S. manufacturing knowledge and manufacturing jobs. Historically, the manufacturing workforce was often composed of family members who had worked for generations at the same plant. The sharing of manufacturing knowledge occurred at the dinner table. In addition, skilled workers rose through the ranks and held management positions, thereby expanding the knowledge beyond the family. In this way, manufacturing knowledge continued to grow through the sharing of ideas. As competition increased and methodologies changed, the required skill set changed. Remaining competitive meant hiring managers with university-generated business skills and little or no hand-on manufacturing experience. These highly educated and poorly experienced leaders began encouraging the older manufacturing generation to retire – or simply downsized them altogether. This meant a continued loss of historical and hands-on knowledge over the last 50 years. In 1950, manufacturing was about 35 percent of total employment. In 2004, this number dropped to only 13 percent, according to the Federal Reserve Bank of Cleveland economic commentary “Why Are We Losing Manufacturing Jobs?” In 2014, the number was only 6.6 percent. These changes made learning from the past difficult at best. I began to write this article over 30 years ago when I was a production manufacturing worker at Sikorsky Aircraft. I witnessed the jobs leaving firsthand. Thirty years later while conducting research for my doctoral dissertation, I discovered that the missing link to that mass exodus of jobs was the devastating loss of manufacturing knowledge. This discovery prompted the need to create a potential solution rooted in two very important U.S. industries: the career college and manufacturing communities. My research identified the career college sector as the community best equipped to support this ground-level important function in our nation. The career college community is grounded firmly in a context that is best equipped to support the U.S. manufacturing industry, because career colleges, universities and vocational schools are closest to the workforce. Bringing well-paying manufacturing jobs back is critical to the future of our sector. The global labor market has become strong outside the U.S. because of the high labor cost stigma associated with the U.S. economy. Heightened domestic costs empowered millions of people around the world to compete for U.S. jobs. This increased global competition led to downsizing of the manufacturing sector in the U.S. Many products formerly manufactured in the U.S. are now manufactured in part or in whole elsewhere in the world. U.S. companies outsourced manufacturing because the company’s leaders honestly believed American workers held no competitive advantage over cheap offshore labor. This strategy caused great devastation by halting investments in manufacturing technology and education. When companies do not have the additional capital generated from higher revenue to invest back into the business, the result is a loss of competitive advantage and shared knowledge. The U.S. economy relies heavily on manufacturing, meaning that the sustained growth of the manufacturing industry is paramount to economic stability. The purpose of this article is to introduce the feasibility of a certification to bridge the gap between manufacturing and research in the U.S. by establishing a side-by-side value education partnership that links manufacturing industries and the career college community. The researcher sought to understand the challenges from both a practitioner’s and researcher’s perspective. Manufacturing leaders participating in the survey for the feasibility study were from Boeing, Lockheed Martin, Rolls Royce, Northrop Grumman, Raytheon and United Technologies; the survey also included supply chain leaders from the U.S. government. Eighty percent of the survey respondents agreed that there is a need for a new manufacturing practitioner certification. Eighty-three percent of the survey respondents agreed that a new certified professional would improve manufacturing productivity through focused career education. Ninety-four percent of the survey respondents agreed that engaging in technology and career education would increase manufacturing opportunities. My study provided the educational capital to identify the need for developing a new joint manufacturing and research career-educated specialist, called the certified manufacturing practitioner (CMP). The CMP concept simplifies the means to link the past, the present and the future by developing business solutions from shared leaders’ experiences in the manufacturing industries. The new certified manufacturing practitioner program is designed to improve knowledge sharing through case study evaluation that is grounded in where the manufacturing jobs reside. This shared education understanding takes the manufacturing case study out of the university classroom to the manufacturing shop floor. Career-guided steps are necessary to prevent further degradation of the manufacturing knowledge base. Historical literature provides the means to improve the U.S. manufacturing industry’s productivity and competitiveness through past and present case studies. Learning from history can improve the future. Business and manufacturing case studies provide real-life stories of successes and failures in the same industry and should be the basis for knowledge sharing. Students can best obtain and share this knowledge when the career education community is committed to rolling up its sleeves to deliver hands-on career education experience directly from the U.S. manufacturing source: the manufacturing shop floor. The problem today is that business-manufacturing case studies do not receive adequate attention. 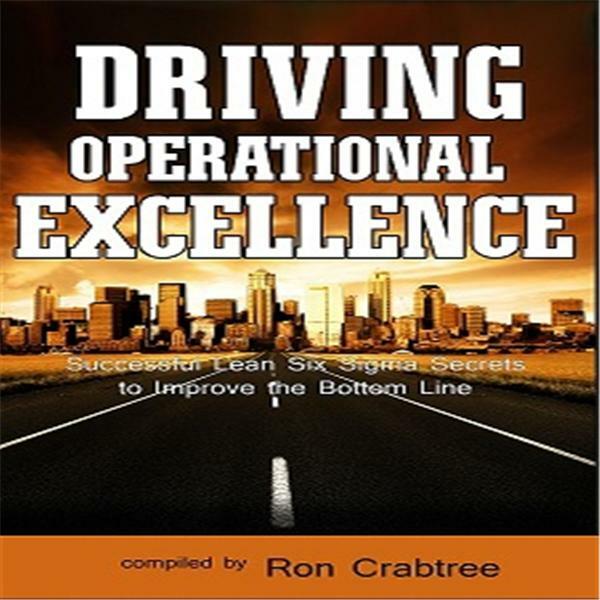 It is difficult for a manufacturing business to be competitive in today’s volatile business market without having the means to review, understand, and benefit from experience. Not learning from the past creates a communication disconnect and knowledge loss, which has a direct link to lost manufacturing businesses and jobs. In manufacturing, when learning stems from past successes and mistakes, business efficiency, and competitiveness naturally follow, because an understanding of the past reduces the risk of repeating the same mistake – or, even worse, not learning from or sharing success stories. 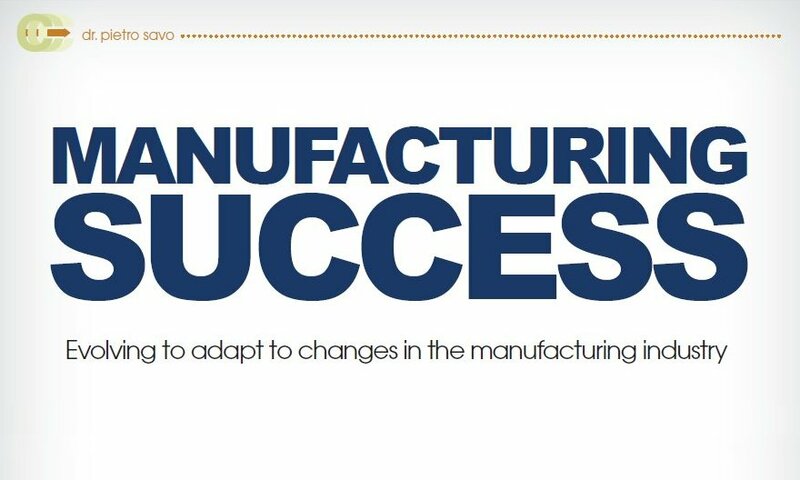 Success is dependent on the ability to develop and identify manufacturing solutions from case studies. This ability also can provide a heads-up display for market changes, diversity of markets and the ability to adapt to markets with a historical customer perspective that is practitioner-based. A CMP practitioner can fuel progressive learning across corporate cultures and different leadership styles, and he or she could have the influence to build upon strong team-based relationships that share knowledge. The cost of waiting for old ideas to catch up with modern-day manufacturing practices obstructs new manufacturing market opportunities. Such obstructions represent a stream of wasteful manufacturing practices, making it difficult to be competitive in today’s volatile manufacturing markets. The loss of competitiveness results in lost manufacturing work and higher unemployment statistics. Once people become unemployed, 44 percent remain unemployed for 27 weeks or more, as reported by the Congressional Budget Office. CMP becomes the natural bridge by forming sustainable manufacturing solutions based on experiences, while at the same time observing market changes that provide the means to respond, adapt and capitalize on this market change. Finding the strengths and weaknesses of employees becomes important to rediscovering the company’s value. CMP career college partnerships work with U.S. manufacturers to help them create and retain jobs, increase profits, and save time and money. Today, the manufacturing industry knowledge base is limited to real-time events that occur daily in the manufacturing industry. The CMP embraces a holistic and unified approach in career education study connected to the manufacturing shop floor, and it creates the means to retain and share manufacturing knowledge. We find ourselves wondering if the government is honestly paying attention to the economic experts or the common sense experiences of its citizens. Common sense seems obvious if you want to simulate job creation the government needs to reduce or eliminate small business taxes. Small businesses in the United States make up over 75% of the new jobs in our economy and this number represents over 99% of all employers. With reduced or eliminated taxes, business owners can invest money back into their business; they can invest in new business markets, invest in new technologies, and invest in honest American job creation. Reducing or eliminating business taxes is only half the common sense solution, the other half is not spending money our nation does not have. Most Americans budget for what they need and want, and our government needs to learn the same common sense approach to finance. Becoming a nation that is fiscally smart is not a four-letter word. Fiscally smart begins with the government, because common sense folks understand this important lesson. Common sense folks created this nation, and it appears common sense folks will need to move away from the kings and princes’ the career politicians of the 21st Century. What is interesting is how we have come full circle, and it appears it is 1776 once again. Voting revolutions by the people, is always welcomed in society because they represent positive progress in a political wasteful environment caused by career politicians. The intent of the founding fathers was a system of citizen politicians made up of common sense folks well-grounded, in reality, and today the financial waste is clearly controlled by the career politicians. The great intellect and scientist Albert Einstein said; “We can’t solve problems by using the same kind of thinking we used when we created them.” Common sense folks the voters understand that 2010 the year of the common sense voting revolution! Leave a comment	| tags: 912, Abraham Lincoln, America, Common Sense Folks, core values, Declaration of Independence, Democratic Blue Dogs, Democratic Party, First Amendment, Founders, Freedom of Religion, God’s Grace, great truth, inalienable right, National Day of Prayer, New Hampshire, Pietro Savo, Pledge of Allegiance, President Ronald Reagan, Republican Party, Tea Party, the will of the people	| posted in AMERICAN WRITER, Manufacturing Research Practitioner ™, NEW HAMPSHIRE "Live Free or Die." During a conversation with a gentleman I met yesterday, he made a statement that the Democratic Party had become hijacked by the far left liberals and the Democrat moderates and conservatives, the self-proclaimed Democratic Blue Dogs are beyond belief that this has occurred. It then occurred to me that perhaps the same statement about the Conservative right hijacking the Republican Party is possible. I do agree something has changed with the Republican Party over the past twenty-five years; I would not call it a hijacking, perhaps more resembling a transformation that began with President Ronald Reagan. However, the Republican Party does not have the community organizing skills we have witnessed on the Democratic Party side, especially during the past presidential election. Today with the various Tea Parties, and the events of 9/12 what we are witnessing once again is a transformation of historical proportions and it is occurring in all directions around America. It is not clear if one political party should receive the credit for driving this transformation across America, or perhaps simply the credit belongs to “the will of the people”. “The will of the people” always wins over career politicians, the will of the people” has no political boundaries, and “the will of the people” is what our founding fathers intended. 2 Comments	| tags: 912, Abraham Lincoln, America, core values, Declaration of Independence, Democratic Blue Dogs, Democratic Party, First Amendment, Founders, Freedom of Religion, God’s Grace, great truth, inalienable right, National Day of Prayer, New Hampshire, Pietro Savo, Pledge of Allegiance, President Ronald Reagan, Republican Party, Tea Party, the will of the people	| posted in AMERICAN WRITER, Manufacturing Research Practitioner ™, NEW HAMPSHIRE "Live Free or Die." God and Our Government Do Mix! Our Founders established the great truth and core values in the Declaration of Independence. President Abraham Lincoln reminded the nation of that great truth contained in the Declaration of Independence when he said, “We hold these truths to be self-evident: that all men are created equal; that they are endowed by their Creator. The Declaration of Independence appeals to God no less than three times (Source: Declaration of Independence, Lincoln’s Gettysburg Address). The solutions are simple, by God’s Grace; we became the greatest nation on earth. Our employees the politicians that work for us must never lose sight of that Grace. Today we have examples that indeed politicians are losing sight of the importance of God’s grace. An event that took place on April 14, 2009 surrounded by American flags and presidential seals, there was something missing when President Obama’s economic speech at Georgetown University, and that was Jesus. The gold “IHS” monogram symbolizing Jesus’ name in Gaston Hall was covered over (Source: The Washington Times, NBC Washington). As a concerned citizen my question is, what’s next, will the White House attempt to omit “under God” from the Pledge of Allegiance? 3 Comments	| tags: Abraham Lincoln, Catholic Church, core values, Declaration of Independence, First Amendment, Founders, Freedom of Religion, God, God’s Grace, great truth, IHS, inalienable right, National Day of Prayer, New Hampshire, Pietro Savo, Pledge of Allegiance, President Obama	| posted in AMERICAN WRITER, Manufacturing Research Practitioner ™, NEW HAMPSHIRE "Live Free or Die."